EXTREMELY DURABLE Stren Braid is made with Dyneema PE fibers for unsurpassed strength and performance. The GlideCoat treating makes this Stren line cast smoother and faster while minimizing wear and tear on the line. 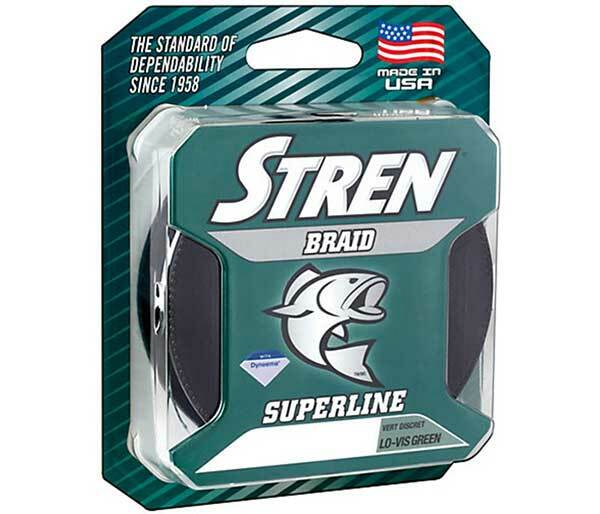 Stren Braid Fishing Line offers excellent knot strength and line movement with durability that rivals steel.